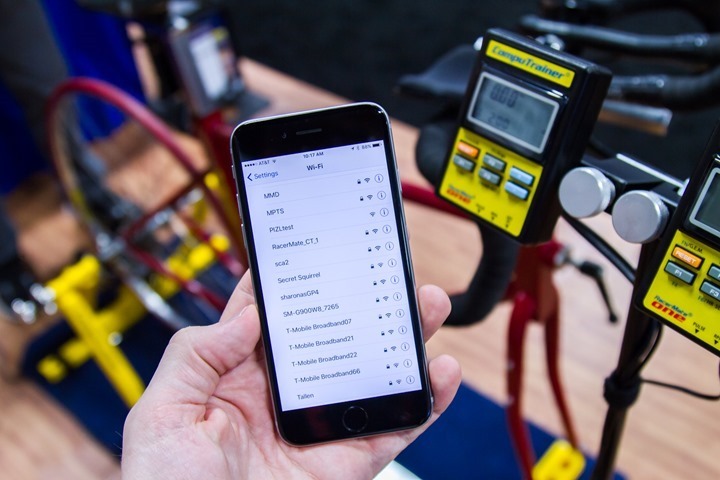 RacerMate, the maker of the CompuTrainer, is preparing to release a new controller that includes support for WiFi, ANT+ and Bluetooth Smart. They had the head unit (controller) on hand within their booth this year at Interbike, and were able to explain some of the direction they’re headed in. The new head unit looks identical to the existing head unit from the outside. Here’s the two side by side. One old, one new. The left one is the new WiFi-enabled one. To show off its WiFi prowess, I cracked open my phone and went searching for some WiFi goodness. Sure enough, there it is, nestled among 823 other WiFi networks on the show floor (RacerMate_CT_1). And people wonder why WiFi interference is such an issue at trade shows…. 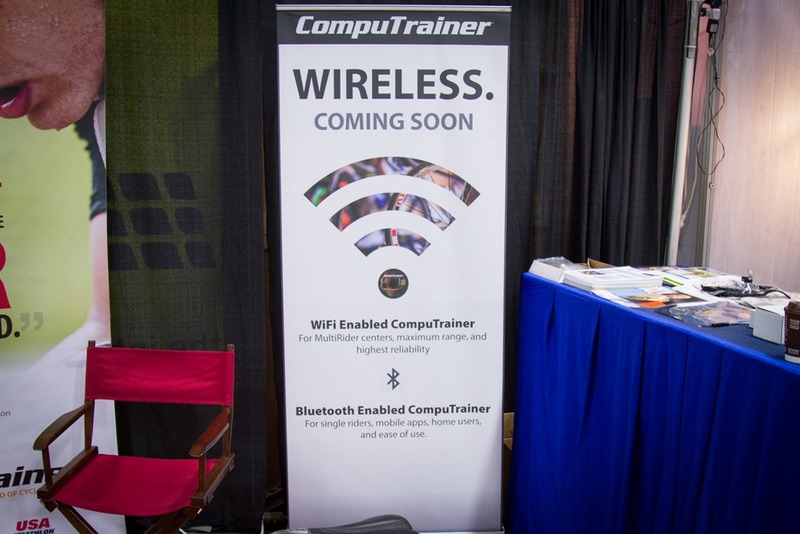 Now the unit at the trade show was configured in a mode where you could connect from a laptop to the CompuTrainer’s WiFi network. But obviously in a home/business setting that’d be annoying. 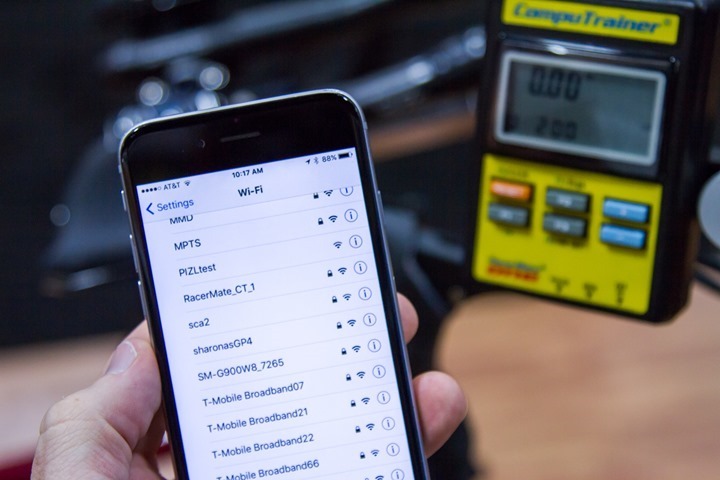 So instead, it’ll also support the ability to have the CompuTrainer connect to your existing WiFi network. 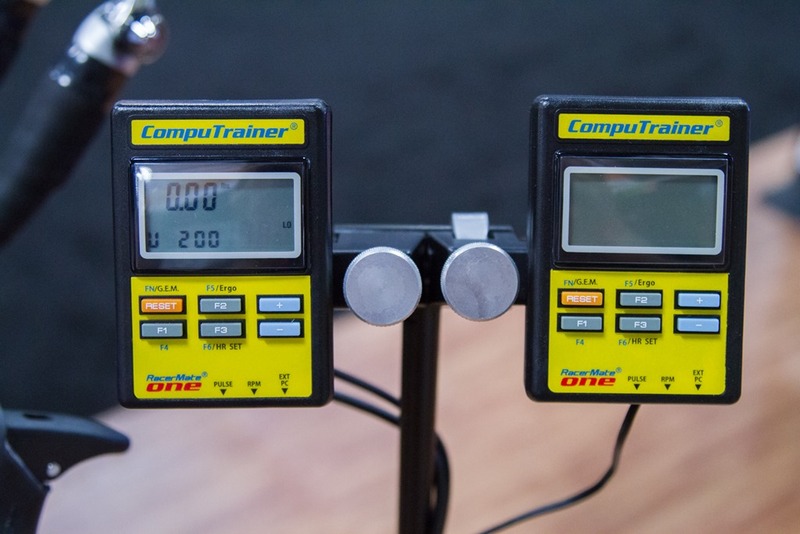 This makes it far more ideal for operating within not just your house, but also trainer studios. WiFi typically has a bit better range than ANT+ and Bluetooth Smart, especially in indoor settings – so for a trainer studio it might be more resilient than some ANT+/BT group solutions. Now it’s important to note that this doesn’t make the entire CompuTrainer wireless. It still requires power to the trainer itself, but also still to the controller. As such, since the controller requires power they’re routing the data from the CompuTrainer to the controller via the same wire as always. So to be clear, the communication between the trainer and the controller is wired (not wireless). Though, I don’t think that’s a huge issue (annoying, perhaps, but not a show-stopper). But what about their inclusion of ANT+ and Bluetooth Smart? Well that part is slightly up in the air. They’ve added the chipset to it, but haven’t decided to what extent they’d add support for either wireless solution. For example, will it transmit ANT+ Speed/Power/Distance? 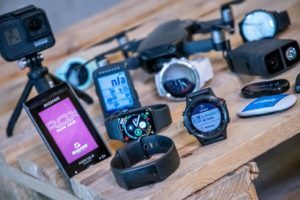 Or just connect to ANT+ accessories (like HR/Cadence)? And the same goes for Bluetooth Smart. Those pieces are still being decided upon. Now, you may sit there and go “But DCR, that’s a huge list!”. To which I’d respond: All of the competitors already do this. Today. And thus why CompuTrainer’s market share has evaporated. So, sure, you could not do the above, but I wouldn’t really recommend it for long-term sustainability of the company. Doing the above would immediately make the unit technically competitive. Especially the ANT+ FE-C control piece, of which virtually every major app has added support for, and more on the way. It’s an app-driven world for trainers today, regardless of whether you’re doing entertainment based apps, or structured workout based apps. As for pricing – well, that’s the only other sticking point. Right now the plan is to price it in the same ballpark as the existing unit (controller), so about $375. Which is way too pricey for what it is. I’d say about half as much would be appropriate. Again, you have to remember that other trainers have this built-in already. 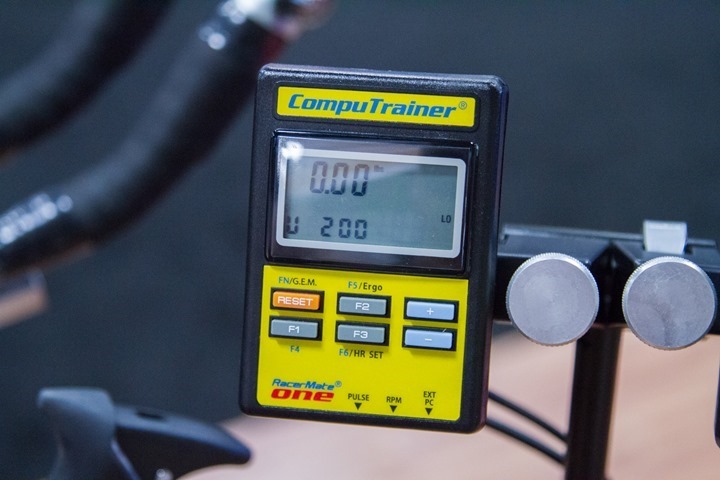 Note that RacerMate did confirm that anyone who buys a CompuTrainer between now and when the new head unit launches in November 2015, will be covered for getting a new controller. 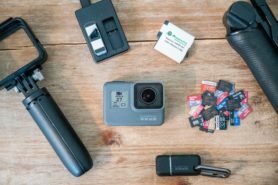 No matter the pricing or specific functions, it’s good to see the company understanding that consumers are demanding wireless connectivity support, and starting to deliver on that. They also need to dump that “calculator from the 80’s” design. Doesn’t make sense to devote resources to develop the enclosure, display and associated hardware to update the case when they still are so behind on connectivity features from DCs list. I would guess that most people will want to use apps on a phone, tablet or laptop anyways if the connectivity features are implemented. The controller is essentially a comms module between apps and the trainer. I love my computrainer to death. Paid dearly for it years ago. It has been a key tool in my arsenal. I’ve spent thousands of hours on it. That being said, as a company, they are a dinosaur. The fact that they didn’t bother to update the cosmetics of the unit shows that they are hopelessly out of touch with how gear heads, triathletes and other gadga-holics buy equipment. We all care about the functionality of these items and CTs works and is reliable, but really, functionality is the price of entry. From there, we have all kinds of options to choose from, all of which look like they were designed in THIS CENTURY (literally). Functionally, it is fine in many ways, but the lack of connectivity and technological progression is almost a decade behind what’s out there. And nobody wants to spend through the nose for a box that looks like it was designed by high school students back in the 90s. It is incongruous to spend an outrageous amount to attach this little yellow box to a $8,000 bike. I wish Racemate the best, but I can’t imagine they will last more than a couple of years given what’s out there. The only reason I haven’t bought a Kickr or any of the other options out there is I don’t want to spend the money when I have something that is serviceable at the moment. The competitive devices are cool looking, have super modern features and functional. They get that they need to update product, their sales will have told them that. I wonder if they get that they need to be open ? I guess this explains the “summer end $300 sale” I bought one last month, I hope i’ll be covered for getting a new one. It is still to expensive of a trainer for what it is anymore. They started a slow death with the constant misses on Racemate One (which I think they still haven’t finished as parts still say coming soon such as an updated multi rider) I would have a hard time springing for a CT anymore with the kickr, PowerBeam and Tacx options. US$379?!?!?! Are they mad? For that price I will just save up and get a Kickr or something similar. I paid for a controller update not that long ago, looked at but passed on the Power Puck. The list goes on, best to cut my losses, sell the CT and upgrade to a “modern” fully functioning trainer! I had been on the fence about doing that, but at this price that well and truly shoves me off the fence into selling the CT.
On a positive note, thanks for the info, as always, much appreciated Ray. What an interesting business study for a college course. Once the class of the field, in a monopoly position. To run such a business into the ground is breathtaking. From the current anticipated pricing to the lack of connectivity, seems like they are not quite done yet with their suicide business plan. Here’s the best part – Chuck is from that famous “Harvard Business School Class of ’62”. He once told me he would die at his desk. I was tempted to ask how I could help. There’s also no publicly revealed Board of Trustees or Directors. I’ve looked; I’ve tried. It’s rare to see such info listed for a privately held company. I’m really kind of torn writing this comment, because I’m sure the people behind Computrainer are nice and pretty smart, but my god. This whole product, not just this new controller… Have it ever been upgraded? 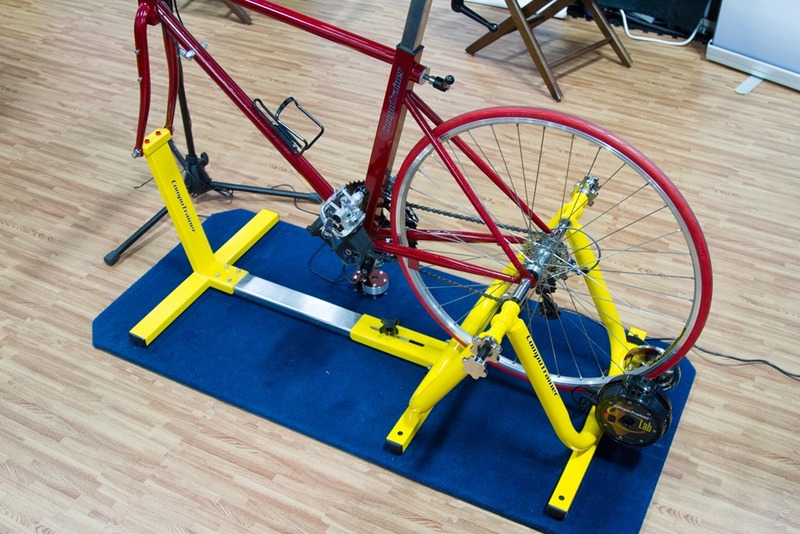 It’s still a fork mounted trainer! And to put out a new controller that uses (apparently) the same design it has had since conception is just staggering. The company is literally telling its customers that it does not care about them at all. It is all about keeping costs to an absolute minimum, which is fine, but never passing its falling costs and complete lack of RD budget on. It is mind boggling and insulting that the price is still astronomical. I can’t believe it costs the company more than $200 to build. I almost complained that the ELEMNT is ugly. Not anymore. And here’s the kicker, hours after a DCR blog post was published, this is only the ninth comment. Ok, it’s not only fork mounted. I’m a long term Computrainer user. I’ve all the new software. Its sh*te. Given the fiasco that was RacerOne does anyone think they have the ability to deliver this??? As Mark comments here, their future is likely going to depend on opening their control scheme to developers. Maybe, gasp, collaborate with software developers too! 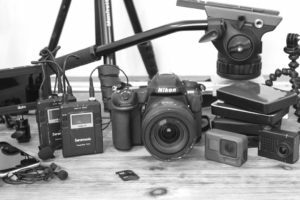 Their equipment and software has stagnated for years. They could’ve supported ANT+ heart rate straps years ago and still kept on rolling out broken Polar “solutions”. The stupid puck is a result of not being able to let go of the need for Spinscan analysis. 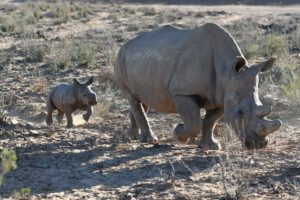 Another long time CT user here – very disappointed with this lackluster announcement. The minute Wahoo resolves the high-pitched whine of the Kick’r (it’s not the volume, its the pitch that will drive my family nuts) I’ll be selling (if anyone will buy it). I just don’t have faith this company will be around much longer to support it’s products. I bought a Computrainer years ago, before the new flood of much more inexpensive controllable trainers came on the market. It’s rock solid and never fails which is the one major selling point. I have it now and so can’t justify buying a more modern trainer. Nevertheless, the company is a bit like Radioshack, you keep wondering how on earth they stay in business. Sold my CT years ago after zero real updates from the late 90’s. They got a bit too arrogant when they were the only game in town, similar to SRM in the power meter realm. Customer service was always poor in my experience. Prices went up even when competition started coming along. Not a great business model. I currently own an inexpensive “dumb” Elite trainer and have been toying with the idea of upgrading to an FE-C controlled smart trainer to take advantage of all the cool new apps out there and I don’t think I would use this if it was free. I really don’t understand how they have any news sales whatsoever. I realize I’m a bit biased because I read everything Ray writes, but people have to do some research before spending that kind of money right? I can’t imagine anyone who knows about offerings from TACX, Bkool and Wahoo would ever choose a CT…so the bigger question is why haven’t they just shut it down completely? I mean they either join the 21st century and develop a new product, or stop spending any money at all. This approach really confuses me. While there is no question they needed to do this years ago, there are some reasons to go with a CT over a Kickr. For starters if you want accuracy with a Kickr, you need to control power with another PM. Likewise, there are posts on the wattage forum about too long of a lag in the Kickr getting to the correct wattage for shorter intervals. Lastly you can pick one up on ebay for around $600. Kick’r also has an annoying whine to it. Zero comments from the company here. Compare that to Wahoo’s input in Ray’s overview of the ELEMNT. I am amazed that they haven’t keeled over from severe cramps after sitting on their laurels for so long! I have plenty of praise for the CT but I have to lump this into another tone deaf move from the company. Maybe this is part of a larger roadmap but what I really want to see is some manner of small device that plugs into the DIN connector of the load generator and would broadcast wireless to the head unit, which in turn will provide a two way relay for Ant+ and Bluetooth. As it stands this update eliminates one stereo cable to the PC. 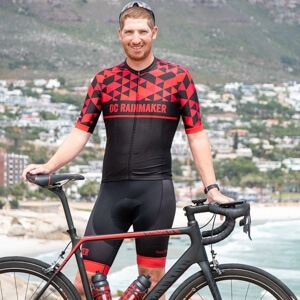 1) The RacerMate One software is a good improvement but its delivery time was outrageously late and the fundamental hope for it was that it was a platform that would enable more rapid innovation. Updates have been few and far spaced. 2) Related to the previous, Velotron users have been second class citizens on RM1 and have had a bug for nearly three years where the spinscan is reversed between right and left legs. I do software development for a living so I’m familiar with bugs and I can’t imagine how this isn’t solved simply by multiplying some figure by 180 or something dead simple. 3) A year ago RacerMate got us all going with the idea of open sourcing the communications to their hardware. Hooray, this is the right move, but a year later and where are all the apps benefiting from this? Most applications are using the reversed engineered efforts built into Golden Cheetah. It seems like that is the real place where open source is applicable here. Anyhow, I don’t think RacerMate is necessarily a dying brand or the various dramatic things people are saying but I think at some level their marketing is more tuned into what a cycling studio may appreciate versus a home trainer user. For all I know that market may be large but my gut says it isn’t. The other big problem is price. No way should the controller cost $375. It should be closer to $100. They should be offering an upgrade path under $100. As far as open source, I too agree. They need to release all their code. Currently, they do have their openAPI, but you need to use their libraries, which is not something the Zwift folks want to do. There are some legitimate concerns as you can’t debug their code or use it independently of the OS. Racermate’s reason for keeping it closed source is they claim it’s the only way they can control the accuracy of the physics engine implementation. That is a nice goal, however, considering that the majority of folks are using the GC reverse engineered version, I think it’s a moot point and they might as well open source it. I’m not sure it’s that big of a deal wiring between the LG and the HB controller as I never run those wires on my bike so it’s pretty static and you don’t have to worry about interference or dropouts. I don’t like connecting their cadence sensor or using their Polar receiver, so eliminating those would be nice. I just don’t see myself upgrading for anything more than $100. $375 is close to the cost of buying a full unit on ebay. I even saw some with the puck going for under $600. They need to get their costs/pricing model under control to be competitive. Yeah, they conceded at Interbike that it wasn’t going to be Open Source, but rather just ‘accessible’ to approved 3rd parties that requested it. Golden Cheetah is clearly a sore spot for them from a discussions standpoint. Which is sorta funny since it’s really one of the few areas that have enabled them to stay in the game (the reverse engineered variant). But yes, completely agree on all other points. I just feel like they have a solid base product, they just need someone with a tech mindset to come in for a week and lay out a crisp roadmap for how to get back in the game. And the funny thing is – none of it is technically hard or expensive. Most of it is trivial. Too bad the Velotron is so much harder to reverse engineer than the Computrainer. The home user market for the Velotron is something like eight individuals so I’m surprised anyone is interested in developing software for it. I really hope you guys can get the price point way down on this. The controller considering it’s ancient design and LCD screen, should not cost more than a Garmin with a much bigger/better screen and processor. There should be an offered upgrade path where you send in your old one to be upgraded for under $100. If those things really cost you more than $10 then you need to seriously reconsider the design. Honestly, IMHO, I don’t know why Racermate even pretends any longer. 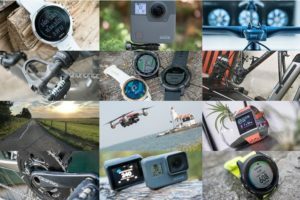 I’ve been watching Racermate’s long slide in to oblivion since 2009: Years late RacermateOne software, the ridiculous ‘puck’, silly little wifi enhancement, absurd pricing, glacial product cycles, brusque management, & contempt for customers (eg banning vocal suggestions from the support forum). While I remain a mostly satisfied owner, I’ve become a ‘net detractor’ for the product, actively *dissuading* people from purchasing (and pushing them towards Kickr [I own both] or other choices), if for no other reason than the company seems genetically incapable of innovation. As someone suggested, this would make a great b-school study on how to mis-manage a once-innovative company. So Roger, when you say tomorrow, did you mean to say next month? Or by satisfactory response did you mean “no comment”? Great … I just bought a CT.
That was already a mistake before this latest announcement. Well, 3 days later and still no response. I guess PR just isn’t important to them. 5 days. Based on the history I can believe we will see a Mea Culpa from racermate. This thread will die a slow death along with CT marketshare. Looks like they are set to lose even more market share with the release of the Tacx Neo. That is looking to be the equivalent of the Velotron in terms of accuracy and convenience (i.e. no more calibration) plus support for all the current wireless technologies. 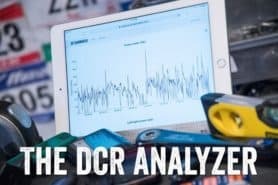 I hate to say it but Racermate should have designed a direct drive CT that accepted a cassette instead of a rear wheel…..
Hell, even the Ergvideo folks are now supporting the Kickr and Tacx. I bought a used CT a few years ago before KICKRs and similar trainers were available. I’m a Mac guy, with no PC in the house, so I use it with TrainerRoad on my Mac and it works fine. I wouldn’t be tempted to spend $375 to eliminate one cable personally so I’ll just keep using it as it is. If it became totally wireless and allowed me to use the TrainerRoad app on my phone or iPad, then maybe it would be worth upgrading, but still there’s no way I spend $375…maybe $150. That would save some time compared to hooking up the MacBook. welcome to yesterday… u better off buying a PM and using a reg “dumb” trainer. PM and a dumb trainer misses the best innovation in trainers which is erg mode workouts. 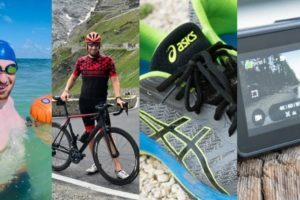 Love or hate any of these companies (Racermate, Wahoo, Tacx etc) you are doing yourself a disservice not using a trainer that supports Erg mode. Wow 3 weeks and still backed up from interbike and no follow up post by Roger. No wonder nothing ever changes at Racermate. I’ve been using a Computrainer for our triathlon coaching business for the past several years and I am about ready to give up on it. The software is incredibly archaic, and the hardware is not nearly as robust as the new players that are out now. I loved it when I first started using it, and I think the technical data it provides is also really solid. In terms of ease of use and cross-device compatibility, it really suffers. Can someone post the link to Rogers follow up post? It doesn’t seem to be up anymore. Ughh. My sincere apologies. It’s sad when being busy on my side is looked upon as neglect on this side. It is, in fact, our busy time of the year and we are in our usual winter rush to keep up with sales and support. I was out looking for some thread I was told about and in doing so stumbled upon these unfortunate crumbs I left untended. Again, I am sorry. I did fully intend to step back in and finish my thought here, but have had [clearly] no time to do so. I’ve made a note to myself to try and pick up where I left off. Anyone should know they are more than welcome to contact us direct about any concerns they may have. You would’ve been better off not replying at all, rather than leaving that BS response… You have customers here that are pissed and ready to dump the computrainer for your competition and all you can say is that you’ve been too busy for the last three months to respond?!? I’m sure everyone here feels better knowing that you’ve left yourself a note to finish a thought you had three months ago… I look forward to hearing about it in March. I commiserate with the folks at Racemate though. It seems they are a company of top notch engineers who’ve designed an excellent product based on sound mechanics and functionality. Unfortunately, it seems they are lacking in the marketing / PR / UI side of things. When they were the only game in town, it didn’t matter. Solid product, hokey interface but reliable = gear heads will be all over that. But now there are other solid products coming to market (so I’ve heard) and they are giving the consumer what they want. I’m sure Roger is a decent guy and doing his best to put out a good product. And I appreciate what went into the original CT (that I still own). But to survive in this marketplace, you have to have deliver not just a good product, but good marketing and PR behind it. I wish you guys the best. I would love to see you take on a new direction and put these upstarts in their place. So it launches November of this year since it seems like it’s still not out? Still now word from Racermate on this? SO dissapointed, time to look at a new wireless trainer. Did this ever come to fruition? It is now end of 2016 and this still is not available? I wouldn’t hold you breath, but according to RM in the last two weeks on this forum posting (link to racermate.net) they are in final beta testing. So I would posit that we should see it some time in 2018 if history is a guide. Did they ever start delivering a Bluetooth/ANT+ unit? I purchased a new unit this summer and I don’t see anything on Bluetooth/ANT. In short, nothing in this post ever was released.